The Central Institute of Fisheries Technology (CIFT) set up in 1954 is the only national center in the country where research in all disciplines relating to fishing and fish processing is undertaken. 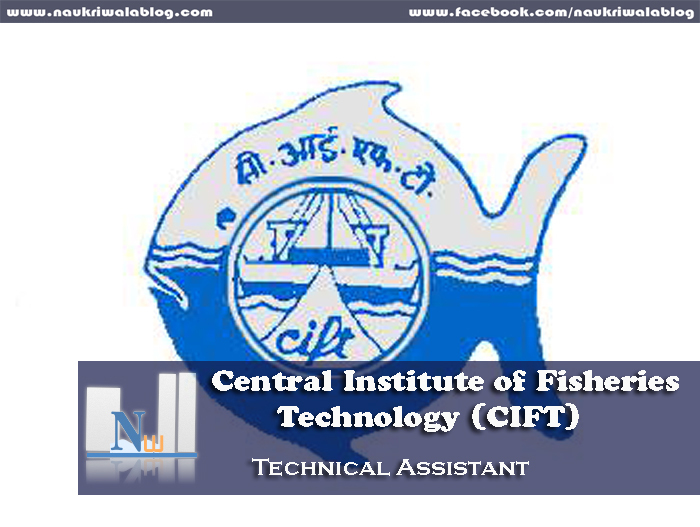 The institute started functioning at Cochin in 1957. Research centers function at Veraval (Gujarat), Visakhapatnam (AP), Burla (Orissa), Mumbai (Maharashtra). Age Limit: Below 35 years for men and 40 years for women. Qualification : Candidate should have passed Bachelor's degree in B.F.S.C/B.S.c (Zoology/Chemistry/Environmental Science) as one of the subjects. Desirable : One year experience in the relevant field Knowledge of Computer Usage . Candidates are required to submit self-attested copies of all the Certificates in support of their claims regarding age, educational qualifications, scheduled caste/scheduled tribe/OBC etc. The original certificates shall be produced for verification before the interview. Candidates should bring detailed bio-data affixing a recent passport size photograph. Addres : Veraval Research centre of CIFT Matsyabhavan Bhidia plot,Veraval, Gujarat.